At Island Daily Dental Care, we firmly believe that your smile is something you should be proud of. But if you are suffering from damaged, discolored, or otherwise imperfect teeth, you probably don’t feel totally confident in your grin. A smile makeover in Medford could be just the thing you need to flash your most confident smile once again! It’s a comprehensive solution you can find from the team at Island Daily Dental Care. Keep reading to learn more, then schedule an appointment with Dr. Gary Rosenfeld today. A smile makeover is a comprehensive treatment plan created with a vision for improving the appearance of your cosmetically flawed but otherwise healthy smile. Rather than undergoing multiple procedures over the course of months or even years, Dr. Rosenfeld puts together a game plan to help you achieve your best look as efficiently as possible. Unlike a full smile reconstruction, which improves the form and function of damaged teeth, the smile makeover concentrates on improving the aesthetic appeal of healthy teeth. Treatment times are usually shorter and require less invasive procedures than with the full smile reconstruction. The length of time it takes to complete your smile makeover will depend on the treatments being performed. Porcelain veneers, for example, are completed over the course of two to three visits to our office. 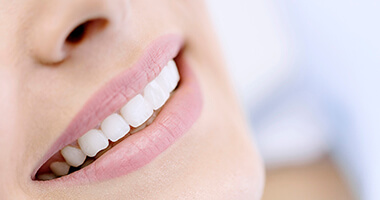 Teeth whitening is completed at home or in one appointment to Island Daily Dental Care. You and Dr. Rosenfeld will thoroughly discuss your treatment plan to help you set your expectations. To get started with your smile makeover, you and Dr. Rosenfeld will sit down and discuss your smile goals. What would you like to achieve with the treatment? How did your teeth get into their current state? Based on this discussion and a thorough examination of your smile, your dentist will put together a treatment plan to help you achieve the precise look that will suit your facial structure best. No matter which treatments you need, you can feel confident knowing the team at Island Daily Dental Care makes use of the latest technology and sedation methods to ensure that you receive the most efficient, comfortable care at every turn. You don’t have to live with an imperfect smile. Let us improve the appearance of your teeth with a smile makeover! Our patients love their fabulous results. Schedule an appointment with your dentist in Medford at Island Daily Dental Care today.